“I have never been good at following the pack and when it comes to managing natural resources I always think outside of the box. 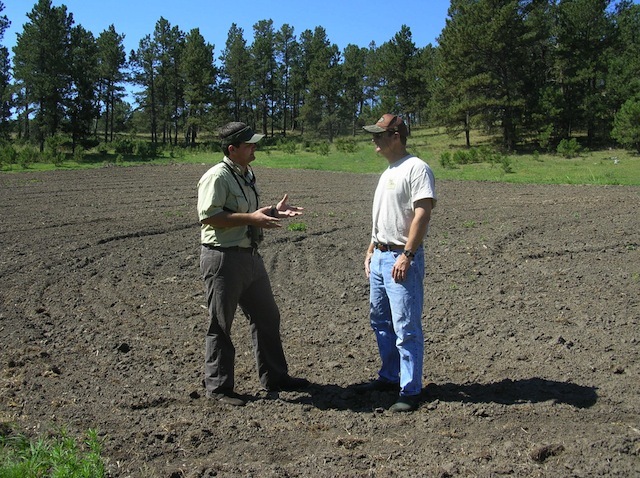 I specialize in improving many different wildlife and land features to conform to what a client needs.” Those are the words of Rans Thomas, farm-raised outdoorsman, hunter and wildlife biologist, formerly of Tecomate fame, and now proud owner and principal of Thomas Resources Wildlife and Land Enhancement, or TRWLE. After talking with Rans, I’m an enthusiastic supporter of his brand of wildlife and recreational property management. I know Rans through his father, Lindsay Thomas, a former US Congressman, National Fish & Wildlife Foundation board member and a close friend. Well, not quite. While gaining experience on the ground, Rans found time along the way to get an associate degree in forestry and wildlife, and eventually a bachelor’s in wildlife management. 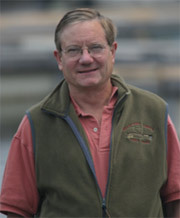 He even developed an AASD program for Wildlife and Plantation Management at Ogeechee Technical College in Statesboro, Georgia. “I worked my way up in the plantation world; ‘plantation’ is the southern word for what’s called a ranch out West. Hunting plantations are big business: private or exclusive places with nice lodges and hunting where wildlife is a major amenity. I reached an apex in that part of my career when I had the good fortune to become general manager, at a young age, of the 23,000-acre Groton Plantation in South Carolina, managed for commercial and private hunting. 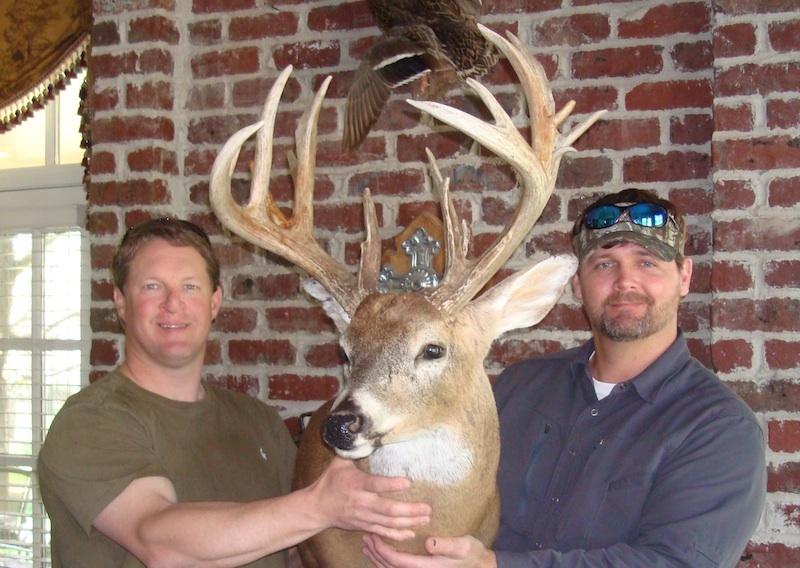 “Along the way, I discovered I had a knack for consulting, and eventually I met David Morris, a legend in trophy whitetail hunting and management. David is part of Tecomate Wildlife Systems, which is known for growing trophy whitetails using their food plot systems. “Tecomate hired me to launch their consulting business. After three years, I managed to connect Tecomate with Orion Multimedia. Soon after, they launched the TV show Bucks of Tecomate - with Jeff Foxworthy as part of the show! It quickly became the number one field sports show on the Versus channel. I co-hosted some hunts and was the primary host of the ‘Management Minute’ segments on each episode. “Tecomate’s national brand recognition is one of the reasons I’ve worked in so many states and with so many people. After a few years of building my own profile in the industry, I decided to leave Tecomate to consult under my own name and banner. I’ve been in business for myself now since April 2011, with well wishes from Tecomate. I am even working on a field demo food plot site with Tecomate Seed Co. that will be featured at the upcoming Land and Wildlife Expo in Nashville, TN." (Resources First also plans to attend the Expo to showcase our Private Landowner Network and State Conservation Centers). So what sets Thomas Resources apart? In my book, it’s his catholic approach to wildlife and landowners combined with his depth and range of experience. Some professionals are fanatical about quail or waterfowl, ohers are focused on whitetails to the exclusion of all else. Not so with Rans Thomas. “Of the approximately 19 million hunters in the country, 11 million are deer hunters,” says Rans, “so they are the driving force in the industry. But there are very few deer hunters that don’t hunt turkey, quail, dove, and go fishing; they’re all sportsmen. If you want to improve hunting for multiple game animals on a property, I’ve got the systems that will allow you to do that, with no compromise in returns from timber and farming. “I work primarily as a biologist and consultant for the whitetail hunter, but with 20 years of experience in the field managing for many different game animals I also develop lands for wing shooting and can integrate the two. It’s all a matter of ‘putting the pieces of the puzzle together’ in a way that suits each landowner’s goals. “Other forms of wildlife are important to some people too. I’ve managed everything from endangered Red-Cockaded Woodpecker habitat to backyard food plots for attracting songbirds and hummers. It’s all a matter of understanding what the client wants: duck, quail, deer or a little of everything. And if they want too much, it’s my job to bring them back down to earth while giving them a certain amount of what they want out of their property, putting it together so each part is thriving and abundant but not conflicting. Check back next week to hear about Rans’ ideas for helping buyers and sellers get the most out of their recreational properties.